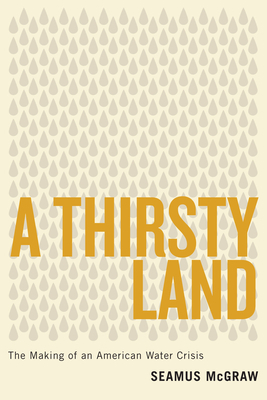 The most comprehensive--and comprehensible--book on contemporary water issues, A Thirsty Land delves deep into the challenges faced not just by Texas but by the nation as a whole, as we struggle to find a way to balance the changing forces of nature with our own ever-expanding needs. Part history, part science, part adventure story, and part travelogue, this book puts a human face on the struggle to master that most precious and capricious of resources, water. Seamus McGraw goes to the taproots, talking to farmers, ranchers, businesspeople, and citizen activists, as well as to politicians and government employees. Their stories provide chilling evidence that Texas--and indeed the nation--is not ready for the next devastating drought, the next catastrophic flood. Ultimately, however, A Thirsty Land delivers hope. This deep dive into one of the most vexing challenges facing Texas and the nation offers glimpses of the way forward in the untapped opportunities that water also presents.